My name is Towner Whitney. No, that’s not exactly true. My real first name is Sophya. Never believe me. I lie all the time. I am a crazy woman… That last part is true. My little brother, Beezer, who is kinder than I, says the craziness is genetic. We’re from five generations of crazy, he says, as if it were a badge he’s proud to wear, though he admits that I may have taken it to a new level. 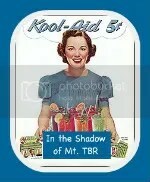 …My mother, May, for example, is a walking contradiction in terms. A dedicated recluse who (with the exception of her arrests) hasn’t left her home on Yellow Dog Island for the better part of twenty years, May has nevertheless managed to revive a ling-defunct lace-making industry and to make herself famous in the process. She has gained considerable notoriety for rescuing abused women and children and turning their lives around, giving the women a place in her lace-making business and home-educating their children. All this from a raging agoraphobic who gave one of her own children to her barren half sister, Emma, in a fit of generosity because, as she said at the time, there was a need, and besides, she had been blessed with a matching set. In Brunonia Barry’s The Lace Reader, Towner Whitney lets the reader know from the start that she is an untrustworthy narrator. Hospitalized after having suffered from depression and hallucinations at the age of 17, she has memory gaps caused from the shock-therapy she’d received as part of treatment. She tells of her family’s gift of fortunetelling by reading lace, of her mother’s “generosity” in giving her twin sister to her Aunt Emma when they were born, and of the subsequent abuse her sister received from her adoptive father, Cal Boynton. After being gone from Salem, Mass. for over a decade, Towner finds herself back in her Great Aunt Eva’s house, after Eva has gone missing. Visions of past happenings, as well as psychic dreams and visits from Eva’s ghost, fill Towner’s present. She struggles with second-guessing herself as to whether she is going crazy again or if she is really experiencing the surreal events. The disappearance of Angela Rickey, the girlfriend of Towner’s ex-Uncle, now the Reverend Cal, sets final events into motion that bring everything to a head with some surprising twists that will keep you guessing until the very end. To be honest, I have mixed feelings about The Lace Reader. For the most part, my issues aren’t really with the book itself, but with how it’s affected me after reading it. Some of the things in the story hits very close to home, and, combined with the bad sinus and chest cold I have, has caused me to have a few nightmares. You walk that line… between the real world and the world of the possible. Towner says that this isn’t a line, but a crack into which she fell long ago. 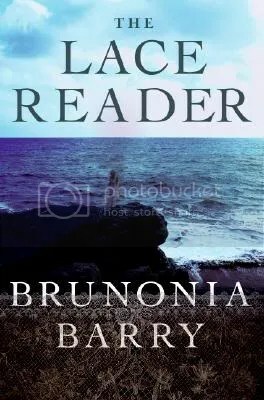 The Lace Readerby Brunonia Barry is definitely a book meant to be read at an easy pace. If you rush through it, you will miss a lot of the nuances. I think I would have to say I liked it; it is a haunting story. 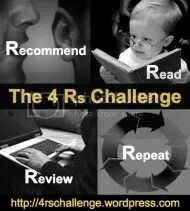 I give this book 4 out of 5 stars.